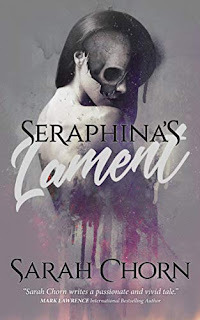 I still didn’t have an answer when I wrote my short story for that first anthology, “The Lighthouse Keeper of Kurohaka Island.” But as we began to promote the book, it suddenly came to me. I’ve written a bunch of other things since that story, and my career has jinked and jagged in different directions. But when Nick asked me if I might be interested in contributing to yet another kaiju themed anthology, cleverly titled Kaiju Rising: Age of Monsters II (and which Nick jokingly suggested the publisher would call Kaiju Rising 2: Electric Boogaloo), I think he got the words “Dude, would you like to—” before I cut him off with a hearty “Hell, yes!” Because I had had fun with the first story. It was well received and reviewed. 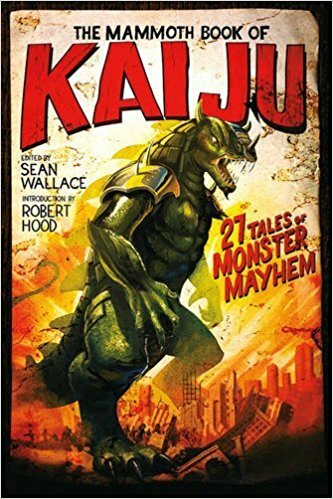 It even got reprinted in The Mammoth Book of Kaiju edited by Sean Wallace, and I loved getting paid twice for the same work. The publisher was great to work with and they paid me well and on time. (I had also worked with them again on a project that was a bit late, but of the same caliber of excellence, MECH: Age of Steel. )Why wouldn’t I want to do another one? The books were fun, people liked them, and the people I worked with were professionals. Obviously there are a lot of answers for many people. Mankind’s hubris. Mother Nature’s way of reclaiming things. Issues of who the real monster might be or examining the monster inside. Who is responsible for creating the monsters? Thinly veiled analogies toward nuclear weapons, kaiju as forces of nature or survival instead of malice, and so forth. The list goes on. 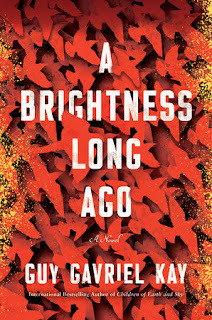 But what I had come up with in 2013, and what I was reminded of when Alana asked the question is at the core of the appeal of kaiju, for me, and I think for all people. Kane Gilmour is the international bestselling author of The Crypt of Dracula. 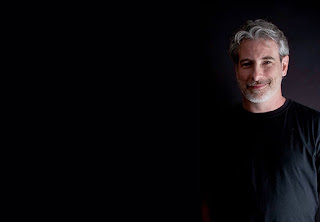 He has co-authored several titles with Jeremy Robinson and also writes his own thriller novels. 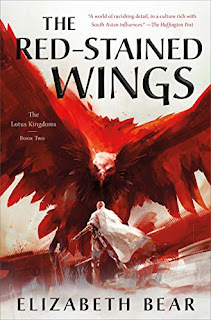 In addition to his work in novels, Kane has had short stories appear in several anthologies and magazines, and he worked on artist Scott P. Vaughn’s sci-fi noir webcomic, Warbirds of Mars as well as on Jeremy Robinson’s comic book adaptation of the novel Island 731. He lives with his significant other, his kids, her kids, and three dogs in Vermont. He’s thinking of buying a farm to house them all. 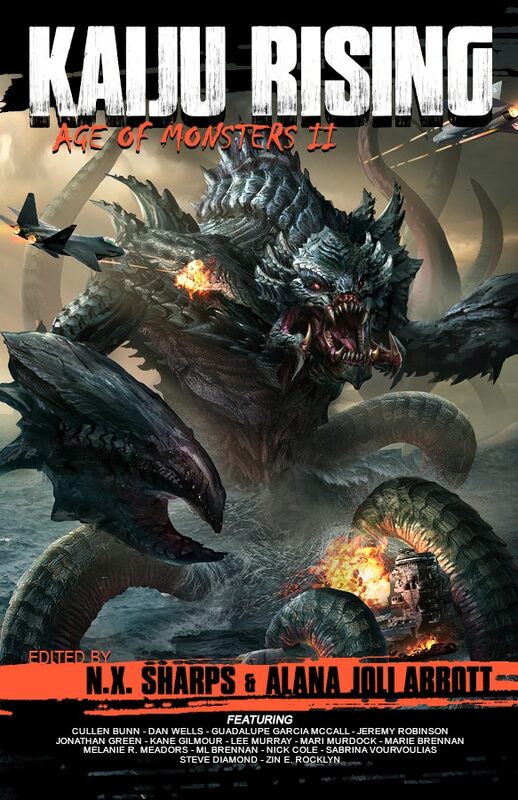 A few years ago, Kaiju Rising: Age of Monsters smashed onto the book scene, collecting stories from some of the best writers of monsters in the business. 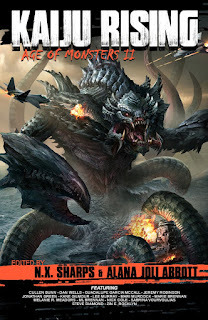 Now, the age of monsters continues on with the follow up anthology, Kaiju Rising II, featuring stories from authors like Jeremy Robinson, Marie Brennan, Dan Wells, ML Brennan, Jonathan Green, Lee Murray, Cullen Bunn, and more! If you love movies like Pacific Rim, Godzilla, and Kong, you won't want to miss it. Kaiju Rising II: Ask Authors Anything! On Tuesday, January 23, ask Kane Gilmour and the other authors in Kaiju Rising II anything! It's an AMA party from 1PM-9 PM Eastern, right on Facebook.